Cosmetic dentistry involves designing your smile that encompasses both artistry and functionality. It transforms your smile to help you look years younger and increase your confidence. Learn more about our cosmetic dentistry services in Nashville and surrounding areas by selecting a photo. Complement your smile with a wrinkle-free, smooth appearance! As part of our dedication to providing you the latest dentistry, Dr. Patel is excited to offer BOTOX®. 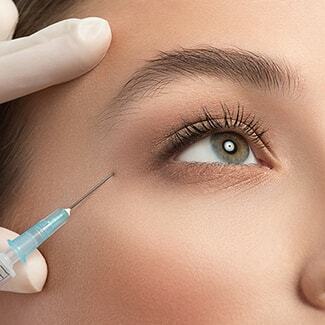 Botox® is naturally purified protein that relaxes wrinkle-causing muscles, creating a smoother and improved appearance, which is comfortably injected into the skin by Dr. Patel. You’ll start noticing results almost immediately and the treatment lasts about 3-4 months. Schedule your appointment with Dr. Patel today and let’s discuss how BOTOX® can help you. High-class dentistry wouldn’t be complete without using modern technology to make your appointments efficient while delivering amazing results. 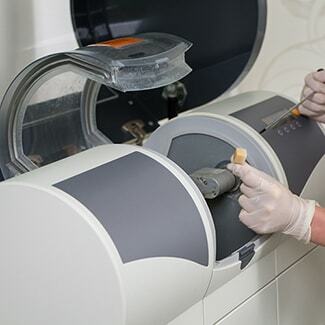 CEREC Same-Day technology does just that. Have you been told you’re in need of a dental crown, but you don’t want to schedule multiple appointments? With CEREC, Dr. Patel can design, craft, and place a beautiful crown in just ONE VISIT! Finally, same-day dentistry is here! We invite you to schedule a consultation with Nashville Dentistry Co. today and find out if you’re a candidate for CEREC Same-Day Crowns. Would you like a straight smile fast without putting your life on hold? Us too! That’s why we offer Invisalign® for our patients throughout the Brentwood and Nashville areas. Invisalign® works just like traditional orthodontics without the setbacks associated with metal braces. Using clear, comfortable aligners, Invisalign® gradually moves your teeth to their appropriate position. The aligners are customized to your smile and are removable, which means you can brush, floss, and eat your favorite foods normally. The best part? The aligners are virtually invisible! Hardly anyone will know you’re receiving orthodontic treatment? We offer Invisalign® for both teens and adults. Schedule a consultation with us to see if you’re a candidate! 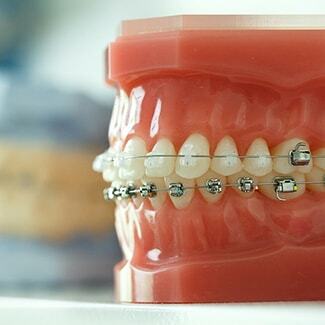 Orthodontics involves the repositioning of your smile’s teeth and bite to its optimal position. 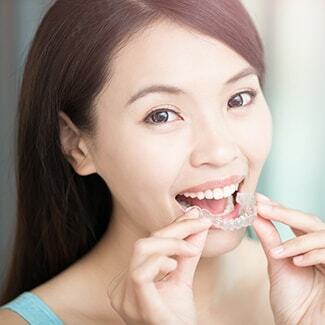 Depending on the severity of the case, orthodontic services could range from traditional metal braces to clear aligners (such as Invisalign®). At Nashville Dentistry Co., we can take away the setbacks of metal braces by offering Invisalign® at our practice. If you’re in need of extensive orthodontic work, Dr. Patel works with highly-trained orthodontists in Brentwood, putting your smile in good hands. He’ll closely work with your orthodontist for consistent communication and high-quality results. Have Questions About Cosmetic Dentistry in the Nashville area? Get the answers straight from our cosmetic dentist! Why should I choose Nashville Dentistry Co. for cosmetic dentistry? Along with our commitment to providing you comfortable, high-quality care, we continually reach out to improve our knowledge and skills to stay on the cusp of dentistry, so you receive the best care possible. Dr. Patel is a member of the prestigious American Academy of Cosmetic Dentistry, the leading dental organization for cosmetic dentists. With Dr. Patel’s membership, he’s committed to investing in new technologies and procedures while training with the top cosmetic dentists in the country. This continuing education promotes dental excellence for you and your smile. Some cosmetic dentistry procedures are covered by dental insurance when the treatment restores your teeth’s structure and improves your oral health. 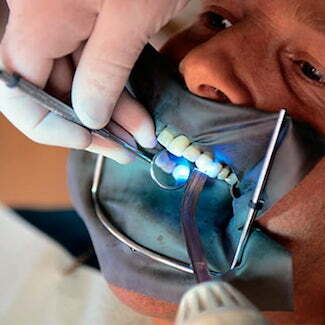 Other procedures are purely cosmetic and may not be covered by dental insurance. It all depends on your provider. Please call us at 615-797-8003 and our team will be more than happy to discuss your coverage. I'm worried I can't afford a smile makeover. How can you help? We also offer multiple plans to stretch out your payments. We accept third-party financing, including CareCredit and Lending Club. We even offer an in-house plan. Call us at 615-797-8003 to schedule a consultation and we can discuss your options. Take the first step and book your appointment online or give us a call.